A special agent’s job is never done. Ethan Hunt returns to save the world (again) in Mission: Impossible – Fallout. The latest installment in the action franchise focuses on Hunt (Tom Cruise) as he goes on the run from the CIA and the IMF after an important mission goes wrong. With no backup, the ever-reliable IMF operative has only himself and a few close compatriots to rely upon while trying to stop an impending catastrophe. Sound familiar? With the exception of Mission: Impossible 2, each film in the series has been built around a very similar premise. Hunt is betrayed, either by the IMF or the government, and is forced to save the day with minimal resources at his disposal. Doing the same thing over and over works for sports teams and the Ramones. Using the same premise for numerous films in the same franchise is often less successful. That hasn’t been the case with Mission: Impossible. In fact, the series continues to thrive and break new ground. So, what has kept the saga fresh while mostly relying on that same basic premise throughout the past two decades? 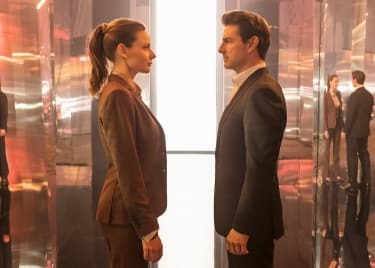 The Mission: Impossible series pulls off its main trick by approaching its premise through a different angle each time. 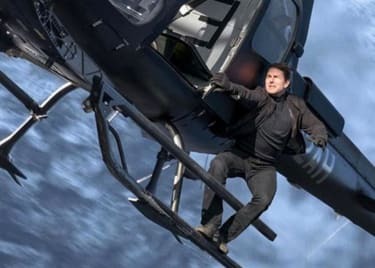 Every movie in the saga uses the same concept as a jumping off point to introduce new challenges for Ethan Hunt, which pushes the franchise’s narrative forward in exciting and intriguing directions. In Mission: Impossible 3, for example, Hunt’s professional and personal lives intersected. The agent had to clear his name after being framed for a crime he didn’t commit while also keeping his wife (Michelle Monaghan) safe from a vicious crime boss looking for revenge. The film offered a gripping psychological conflict for Hunt that added complexity to the character. The fourth film, Ghost Protocol, used the premise to push Hunt in a radically different direction. The IMF was disbanded, and Ethan was tasked with putting the organization back together, working with minimal resources and dealing with a target on his back. Then, there’s Rogue Nation, which put a fun spin on the franchise. The film raised the stakes for Hunt and his team as they battled a powerful criminal organization known as the Syndicate while the IMF was threatened with disintegration. A large part of that fifth movie focused on the government’s quest to dissolve the IMF in light of the organization’s messy (and often disastrous) methods. Through this new storyline, Rogue Nation gave the franchise a gripping sense of realism, showing the repercussions of Ethan Hunt’s daring escapades. This constant reinvention has allowed the franchise to use that simple premise to explore a variety of storylines, keeping audiences engaged and curious about the next chapter. The saga has developed a formula for success, and Mission: Impossible – Fallout is taking full advantage of it. 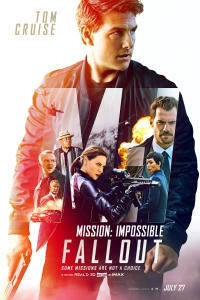 Writer/director Christopher McQuarrie (who also wrote and directed Rogue Nation) employs the franchise’s classic premise as a jumping off point to explore what could be Ethan Hunt’s most daring mission yet, as the agent goes rogue following a failed assignment. Hunt is forced to take on his former IMF allies and a brand-new adversary in the form of CIA operative August Walker (Henry Cavill), as he struggles to save the world from an imminent disaster. As if that wasn’t difficult enough, all of the agent’s good actions throughout the years return to haunt him in unexpected ways. Fallout promises to explore Ethan Hunt and his IMF organization in a way that hasn’t been done before. The film will delve into the character’s backstory and show what made him the man he is today. 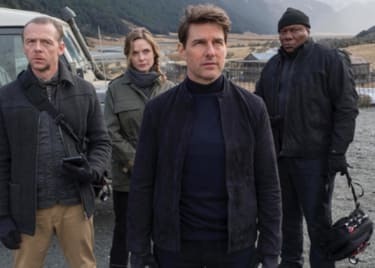 Early reactions to Mission: Impossible – Fallout have been extremely positive, proving once again the effectiveness of the series’s approach to storytelling.